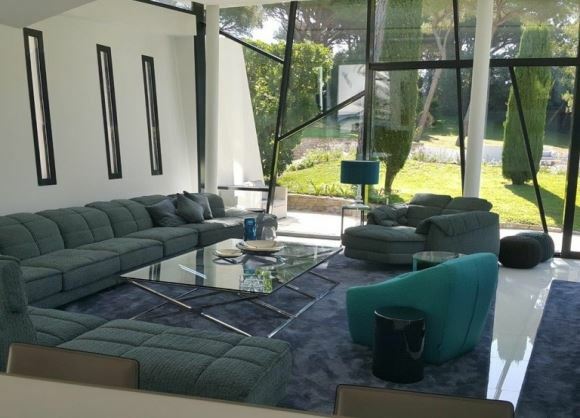 This fantastic modern property is situated just 2-minutes from the Pampelonne beaches of St Tropez and 5-minutes from the famous Place des Lices. The property is in the highly prestigious Tahiti region of St Tropez and boasts an incredible landscaped garden. Guests are welcomed into the main villa via a grand entrance that leads into a spacious and open plan living/dining area. Modern style windows flood the space with natural light whilst seemingly blending the gardens with the interiors of the villa. A fully equipped kitchen completes the main living areas. There is a total of 5 bedrooms within the main villa; all of a tasteful and elegant design and each with an en-suite bath or shower room. The guest house is located within the grounds and features 3 beautiful bedrooms and bathrooms, a large living room with a dining area and a TV lounge. Each villa has its own private swimming pool to cool off in during the day as well as spacious outdoor seating/dining areas.